After my first run home I fell in love with running. The more I did it the more I enjoyed. I did think one day I may be able to run a marathon. But it came sooner than I expected. I got to a stage in my running where I felt I was at my fittest. So I decided to enter the ballot for the London Marathon, could not believe my luck. I actually got a place. This was such a great opportunity for me to prove to myself that I could run a marathon and take my running to the next level. As I had not taken a break from running I was able to quickly adapt to a marathon training plan. I incorporated a few training plans from Runner’s World, Asics and used various devices (Nike plus, Runkeeper, Garmin watch). In my training I also included at least a day of an non running exercise like a cross trainer session, spin or circuit training. My circuit training was Nike Training Club live classes. Whilst training for the marathon I also started taking up yoga which I really enjoyed and grew to love. The stretching poses were amazing after days of running. Thank you Nike Training Club Yoga and Leah Kim. As the weeks went on the training got harder each week I added extra miles on for the long run. Although it was difficult I was so grateful to my close friends who joined me on my runs and training classes. 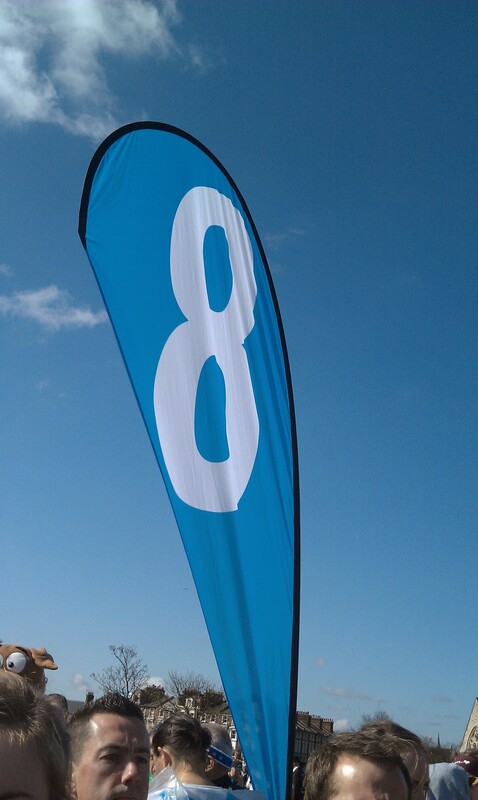 I eventually reached my longest run of 23 miles and felt confident that I will be able to finish the race on the day. 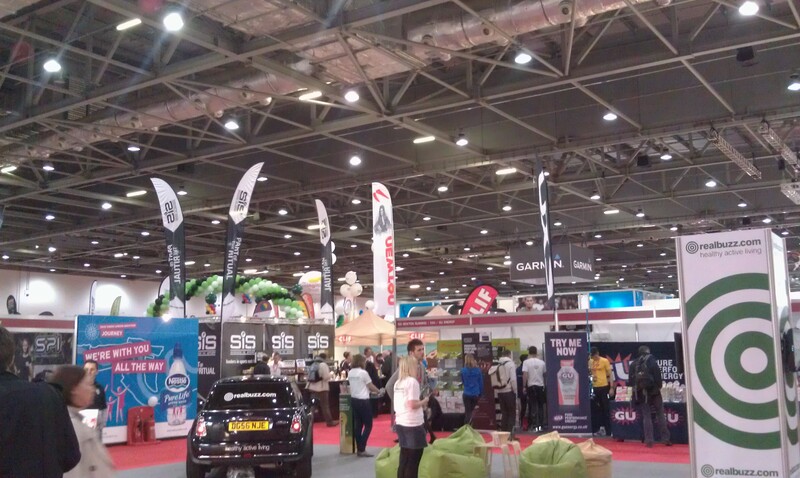 I was so excited when I went to collect my race number at the Virgin Money London Marathon Expo at Excel (not forgetting to bring my passport for ID, as this is needed to collect in person). 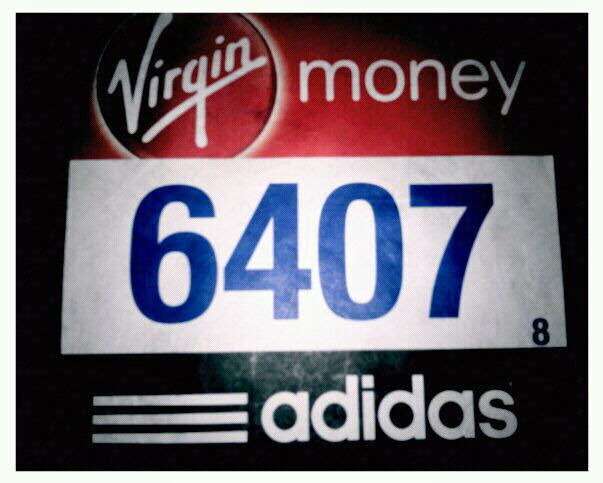 The day had finally come Sunday 28th April, the day I will be running the London Marathon! It was a beautiful morning, perfect weather for running. I was really excited, but at the same time very nervous. Thoughts came across my mind of how would I feel if I hit the wall, and not knowing how it felt was extra scary. I didn’t want to put too much pressure on myself so I didn’t set myself a time, just happy to be able to finish the race and hoped I’d done enough training to get me through. 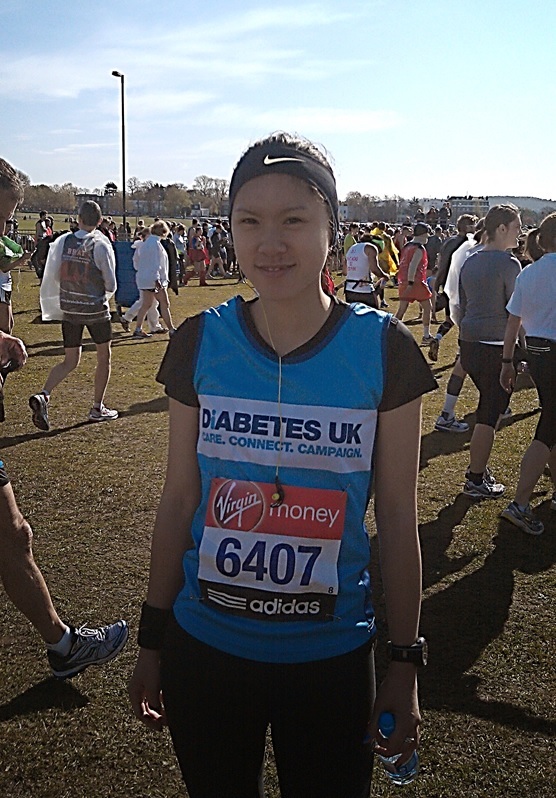 I quickly cleared those thoughts and was looking forward to running my first marathon. I was in the blue pen so my starting point was in Blackheath, where I joined thousands of runners with a short walk to the start line. 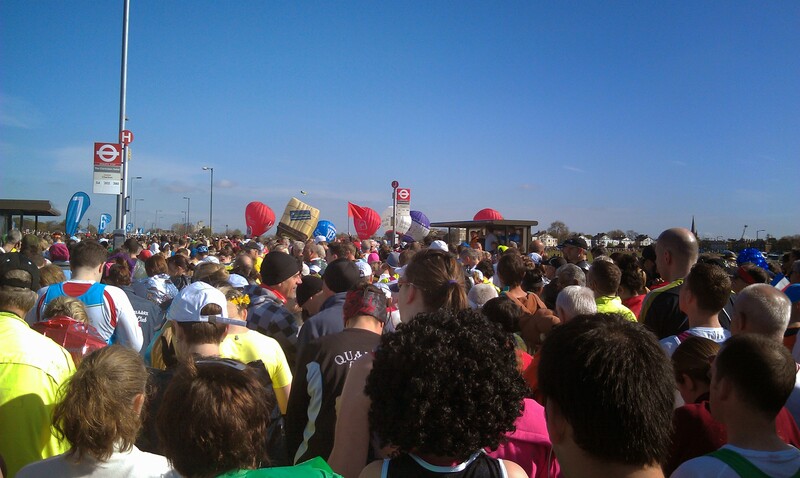 I started off slow and quickly got in a steady pace, ran all the way without stopping until I reached the finish line. The crowds were amazing, from start to finish. Big cheers from the spectators, shouting out words of support and handing out oranges, jelly babies and not forgetting the kids giving out high fives when running by. Absolutely astounding atmosphere. Throughout the race the runners themselves were full of spirit and friendly, especially from fellow fundraisers from the same charity. The entire race was very well organised there were water stations at every 2 miles, Lucozade Sport Orange at 5, 10, 15, 19 and 23 and two or three stations of Lucozade energy gels. The week of the race, I remember going to Niketown run club to get my last short runs in before the big day. It just so happened it was a marathon special Q&A, as well as a 5km run we had an expert marathon runner giving us a insight of how to deal with the day and what to expect. 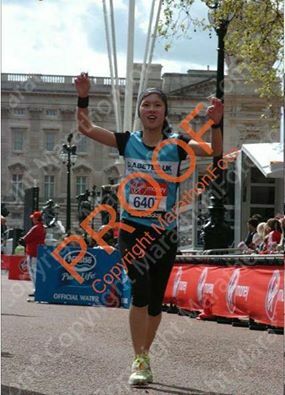 He even told us when to smile to get the best shots for your marathon photos (as you can see I remembered to pose and got a good shot with my hands up and most importantly SMILED). This really helped to build up my confidence and get race ready. 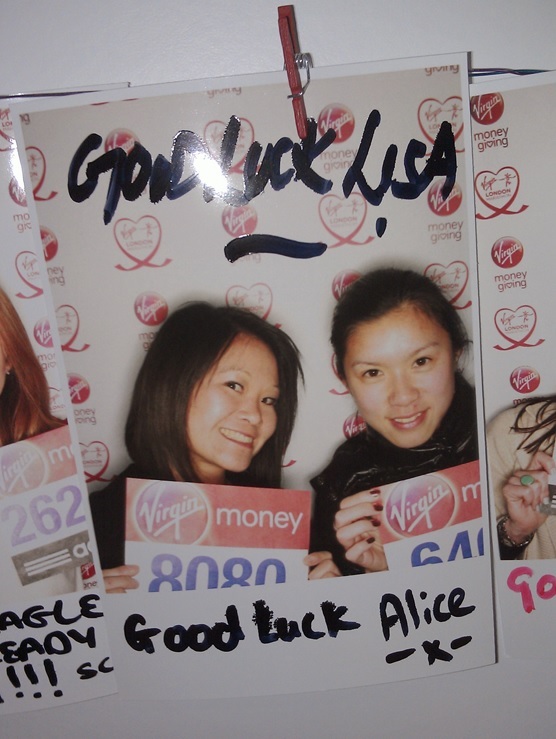 I had such an wonderful experience running the London Marathon and couldn’t ask for a better first marathon, a lively and cultural city where I was born and bred. Looking back now, I could have pushed myself a little more having run a comfortable race without hitting the wall. 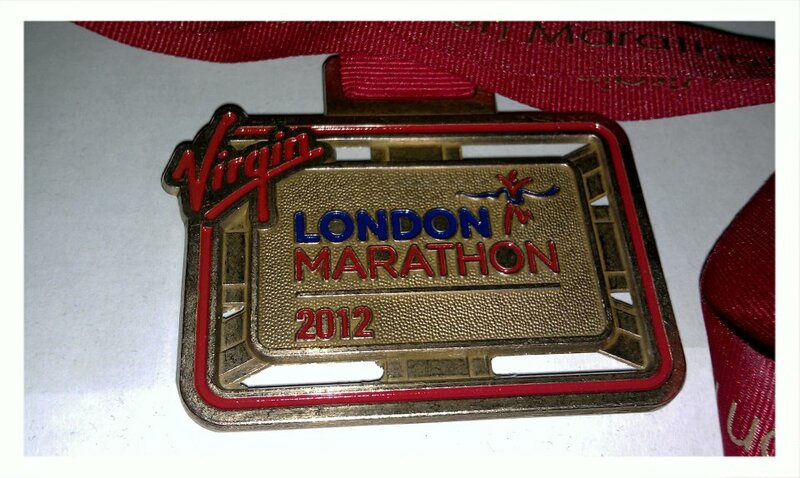 But I was pleased I managed to finish the race in 4:32. 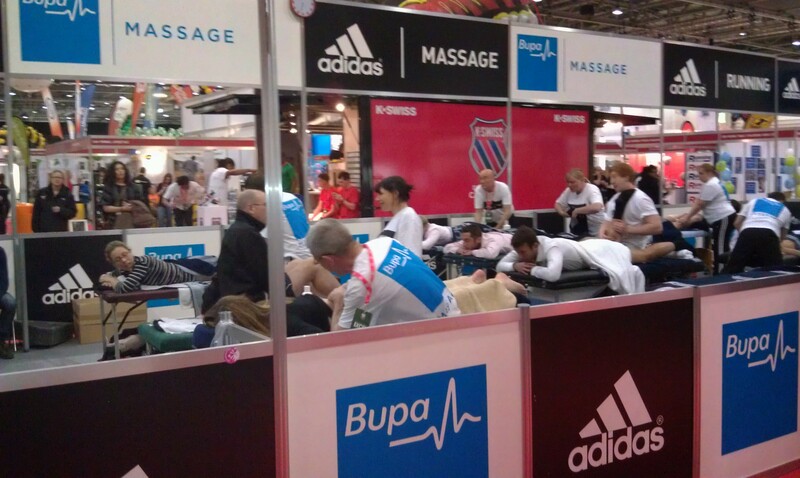 The question is will I run another marathon again? 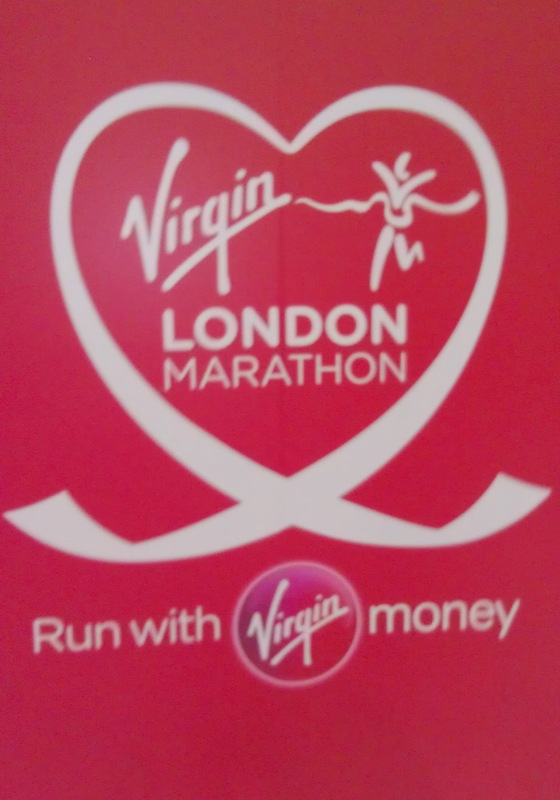 It is still a big MAYBE, at present I don’t have any desire to run another marathon. But you never know, but maybe sometime in the future and possibly in another city like Hong Kong or Seoul where I will take on 26.3 miles again.